Well-known, locally run bar/restaurant with an good reputation and a beautiful setting. 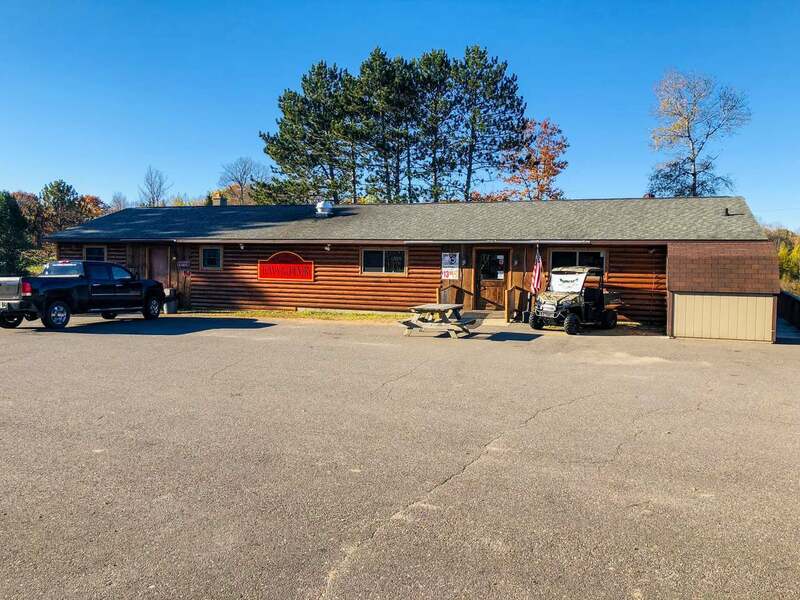 You will be sure to keep your local patrons right where they want to be; close to home and near the ATV and snowmobile trails. Most everything has been updated or replaced in the last 3 years. Flooring, Stools, Kitchen equipment, coolers, tables, siding, outdoor bar and party area. Bar league teams: Pool, bags, volleyball, darts. Famous Wednesday night burgers draw a crowd every week. Very popular ATV/snowmobile stop. Hunting season hot spot with large scale for weigh-ins. Hwy 17 and captures the traffic going north and back south. Pine Lake is 1/2 mile away that brings in Second home customers. Bundy, as it is called is it&apos;s own community of people and even has a church. This seller has done a great job updating and building up this business. They are willing to help train the new owner. Living quarters that current seller is using for business or full walk-out basement could be finished.